KF & wife A bought lunch @ dragon phoenix grand temasek club rifle range road. we were 3 couples 6pax including my jogging mate & his wife SW.
KF ordered 5 dishes. they were all quite good. 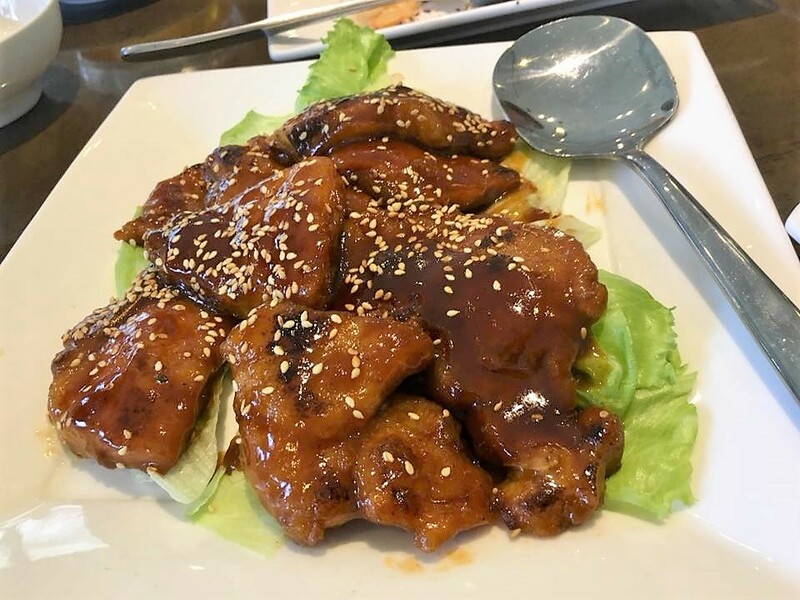 排骨王vinegared ribs is regular zi char dish. of course they did it here as good as any, a common dish many would order. 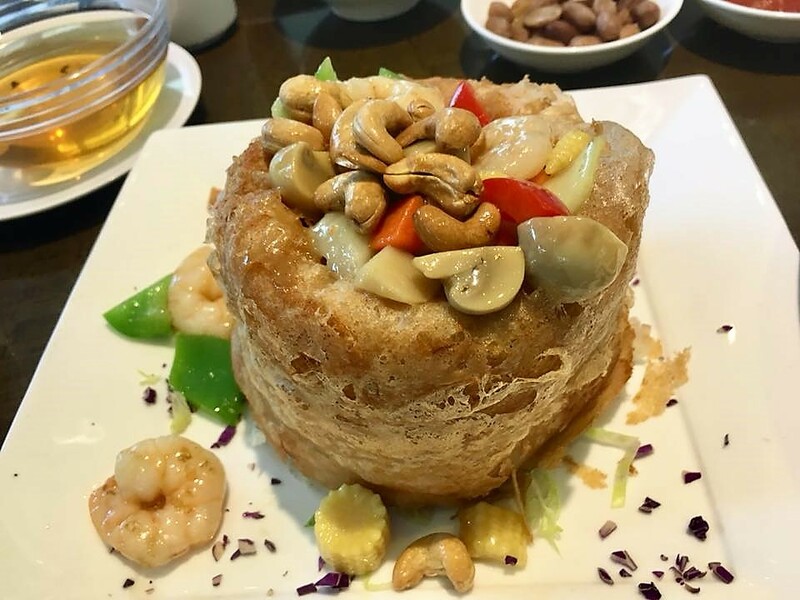 the yam basket is their signature here & chef hooi kok wai, one of the quartet 4 heavenly chefs, created the dish like 50 years ago. the yam was 松fluffy & nice, quite a heavy dish. 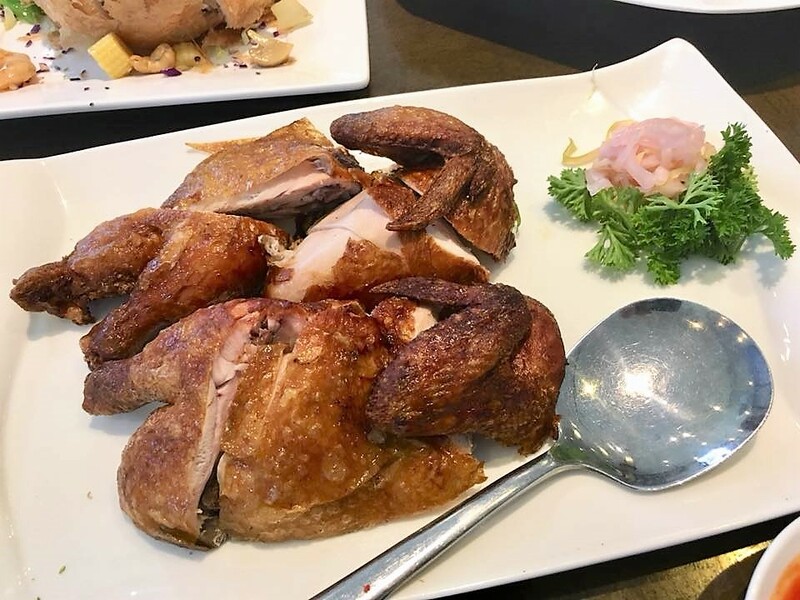 it was rather mediocre leh…the breast meat on the dry & dense side, not near the best! 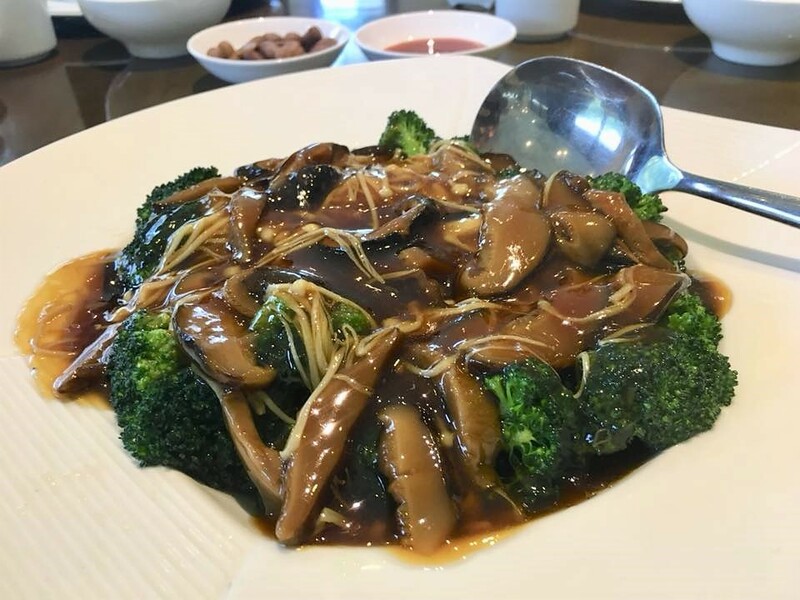 brocoli mushroom dish was well done & tasty. 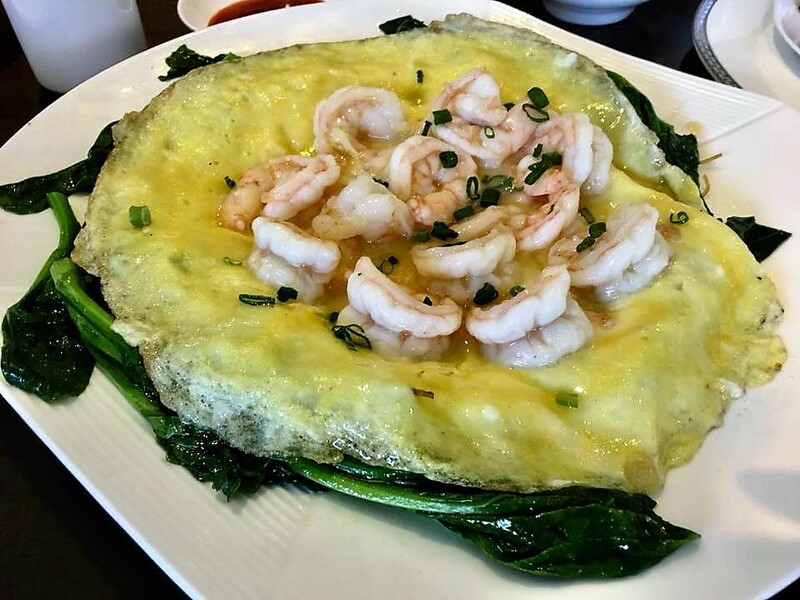 the fried beehoon was quite creatively presented, covered with a fried egg omelette & nicely sauteed prawns!